Before and after school care will be made available to all parents with children at public primary schools by 2021, the NSW Government has announced. The $120m strategy, unveiled by Premier Gladys Berejiklian yesterday, will dramatically expand before and after school care, providing working families more access to affordable, convenient and flexible services. “We know a major challenge for working families is accessing affordable and convenient before and after school care,” Berejiklian said. Under the new policy, public primary schools in Sydney, Newcastle, Illawarra and the Central Coast as well as major regional centres, will be required to open their playgrounds, halls or classrooms for before and after school care and school holiday care from 7am to 6pm to make life easier for families. Before and after school care services are available to primary school aged children. 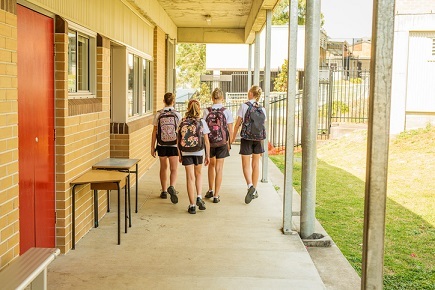 For smaller or remote schools where onsite services may not be an option, the NSW Government will provide transportation for students to and from offsite providers or to locations at other schools so that the communities in that region or area can be fully serviced. The NSW Government will also reduce the cost of before and after school care by up to $225 per child per year, through a capped rental subsidy of up to $15,000 for providers who use school grounds to provide services. NSW Education Minister, Rob Stokes, said the policy will also make life easier for schools, with the creation of a new specialist team in the Department of Education to coordinate services and manage leases to relieve this burden from principals. “This is about making life easier for parents and carers, teachers and principals, by ensuring our students are well cared for before, during and after the school day,” Mr Stokes said. Stokes said the government would work with our schools, P&Cs and principals to make sure they have the equipment and resources they need.